We are located in Brisbane and work anywhere in the greater Brisbane metro, Ipswich and Springfield areas. 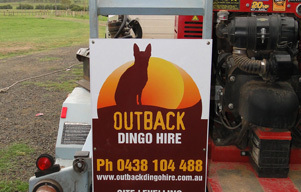 Outback Dingo Hire is a family owned and operated Brisbane dingo hire business with many years of experience. We are committed to providing a good quality, reliable service at a great price. 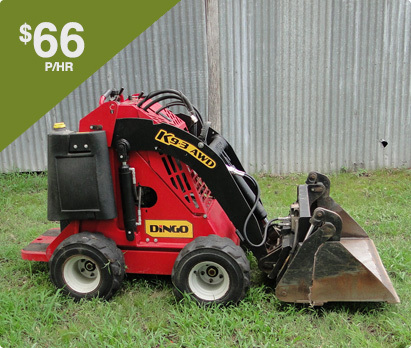 Our dingo hire comes with an experienced operator and our easy fit tools that quickly turn our dingo machine into post hole diggers, trenchers, and more! We believe that dingo hire should be easy and affordable. We're here to help you with advice on your dingo hire needs. 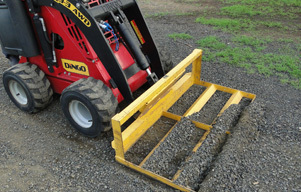 We carry a wide range of dingo hire attachments so we always have the right tool for the job. All-in-one dingo hire prices means you don't have to worry about unexpected costs for your job requirements. We’re fast, reliable and economical. When a bobcat is too big and shovel is too small you can call Outback Dingo Hire to get the job done. Our dingo hire fleet comes with an experienced operator that can dig trenches and post holes, move mulch and soil, site preparation and levelling. 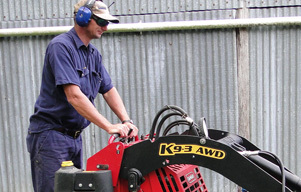 Just sit back and let our dingo digger drivers do the work for you. The job's done before you know it!